An indoor fountain is a great way to add elegance and sophistication to any living space, but if it is not property taken care of, it can actually become the source of a lot of problems. The build-up of algae, molds, and other organisms can pose a health threat to the people around it. A poorly functioning water fountain may also be the cause of accidents or mishaps inside the home. A well-maintained indoor fountain is the secret to a home that is truly relaxing and inviting. Contrary to what you may think, the upkeep of an indoor fountain does not take that much effort. All you need to know are three simple steps to make sure that your indoor fountain is in good working order. Keep your indoor fountain safe and secure – From the get go, your indoor fountain should be located in a secure place. There should be ample space around it so that it does not get knocked over or toppled down. The electrical outlet should be within reasonable distance, and you need to make sure that wirings are not bunched up on the floor so that people do not trip over them. Depending on the size, type, and design of your indoor fountain, you need to make sure that it is securely installed. For wall fountains, there are an appropriate number of hooks required to hang them safely. For free-standing floor fountains, the base should be heavy enough. Tabletop fountains meanwhile should be placed on stable and non-slippery surfaces. Replace the water frequently – A basic task in the self-maintenance of your indoor fountain is to change the water often. This prevents the growth of undesirable substances in the fountain structure as well as in the mechanical parts such as the pump and tubes. When you notice the water getting cloudy, unplug the indoor fountain and drain it. 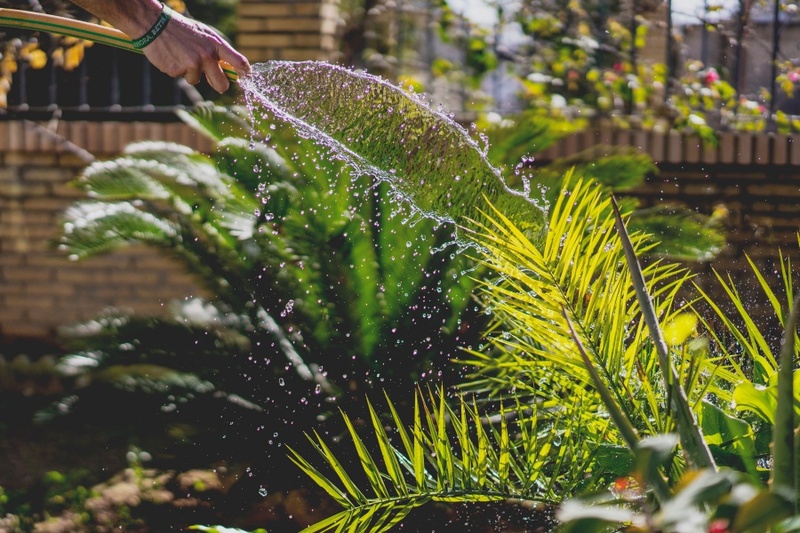 You may also want to consider using distilled water instead of plain tap water to prevent the buildup of algae and even the possible corrosion of metal parts in your fountain. Clean the fountain periodically – Aside from changing the water, you also need to make sure that your indoor fountain is free from dust and dirt, which may affect its performance. A good time to clean your fountain is when you unplug it to change the water. Carefully remove the mechanical parts and set them aside first. Disassemble the parts of the fountain as necessary and soap them up with some mild detergent or cleaner. Make sure to rinse them well. You may need to use some specialized cleaners if your fountain is made of different materials such as glass, metal, or ceramic. Some fountains use small parts such as pebbles or stones, and as such you need to be careful in cleaning them. Make sure to dry the parts of the fountain before putting them back together and filling it up with fresh water. Learning how to take care of your indoor fountain is important in making the most out of it. However, for more serious problems or concerns, such as electrical wirings or loose parts, it would be best to consult the help of a professional. Larger indoor fountains may also be more complicated in structure and design, and may not be that easy to maintain on your own. Make sure you go with a reputable installer who can offer you periodic maintenance or even free check-ups. An indoor fountain that is maintained well will surely bring you years of enjoyment.